G Corp, Messian Dread, Dubmatix meets Nate Wize (Introspective Steppers rmx), Sonic Boom ft. Tamara, DJ KRUSH and more. Dub reggae - no 100 degree day should be without it. Summer has always been dub stylee time for me … this wicked hot summer&apos;s set represents just a portion of the impressive reggae tunes from the past year including a 2010 offering from Subatomic Sound System, the Dubblestandart remix of "Chrome Optimism" featuring both David Lynch and Lee &apos;Scratch&apos; Perry, which has to be one of the most notable pairings of the year in any musical style. Thanks also to Giant Step and Dubmatix for their contributions to the mood; more music appreciation posted at http://www.beatconscious.org. 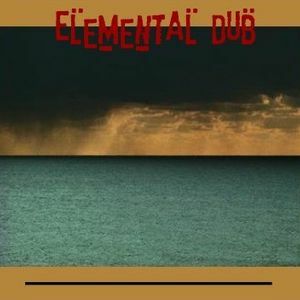 In a notable departure from the usual thematic material of reggae (politics, ganja), all the tracks that made the cut this time are focused on elemental things: dubbed-out inquiries into the eternal intricacies of the human condition like love, loneliness, brotherly understanding, the desire for peace and hope for the future … it&apos;s philosophy in riddim this time out, or you might say: it&apos;s Elemental.